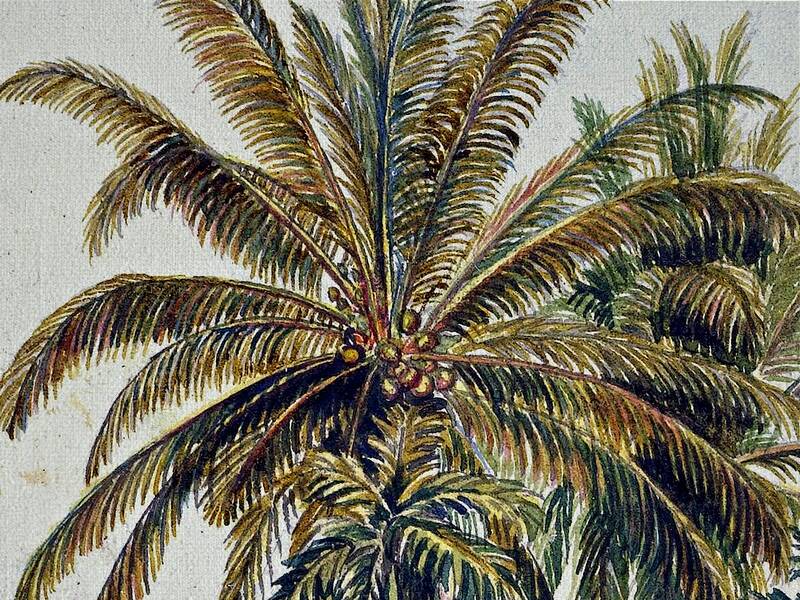 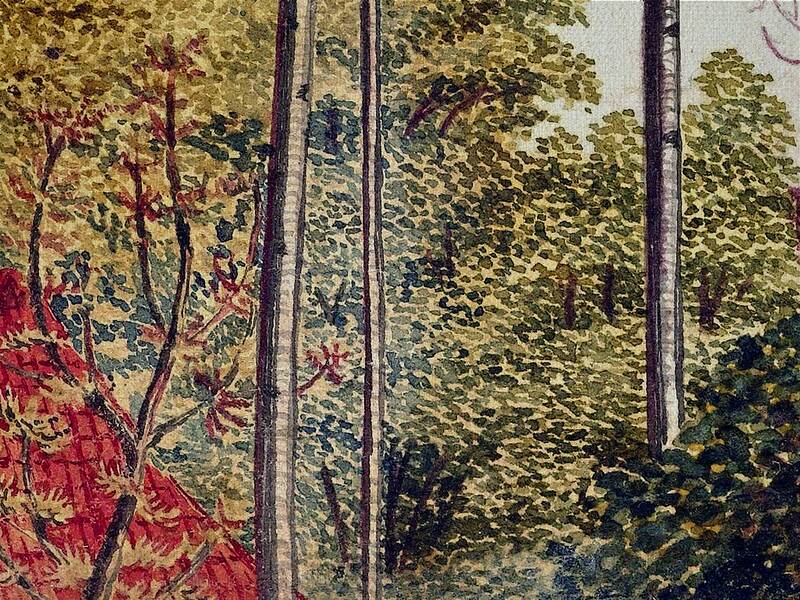 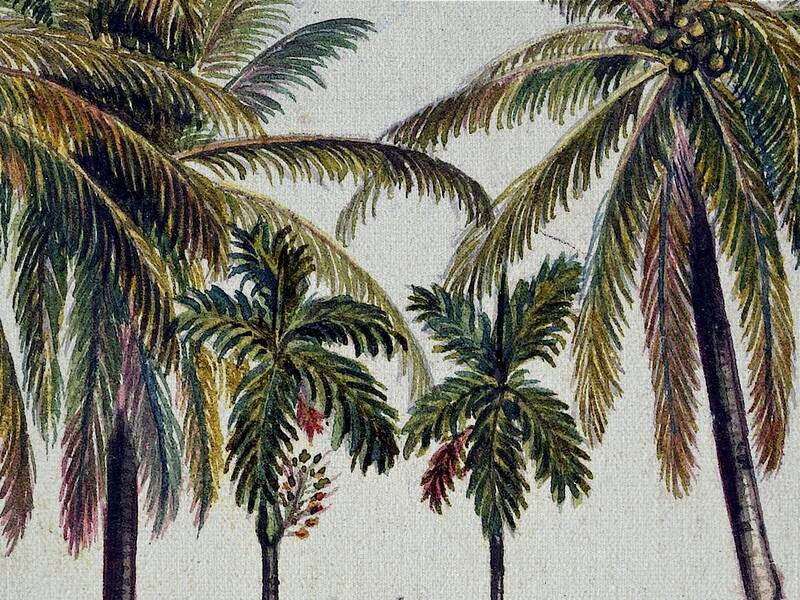 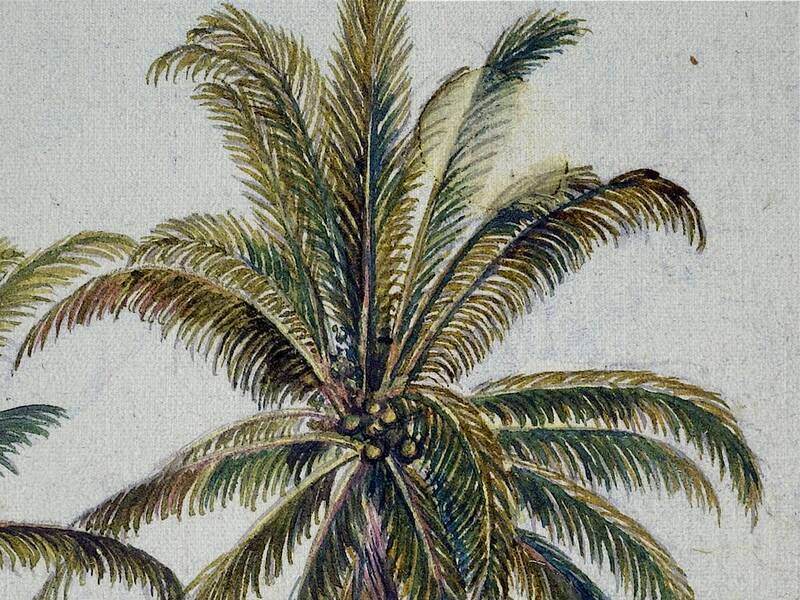 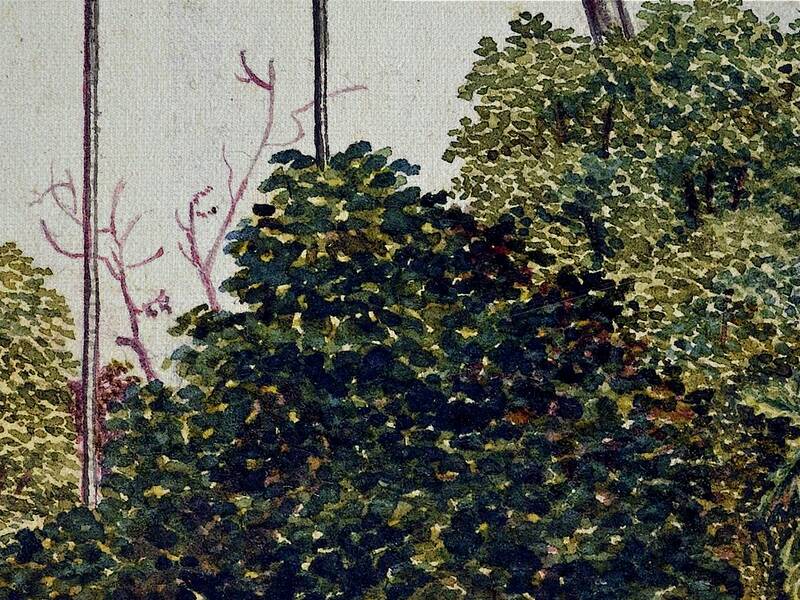 Palm Trees Drawing by Dutch artist Jan Brandes c.1780. 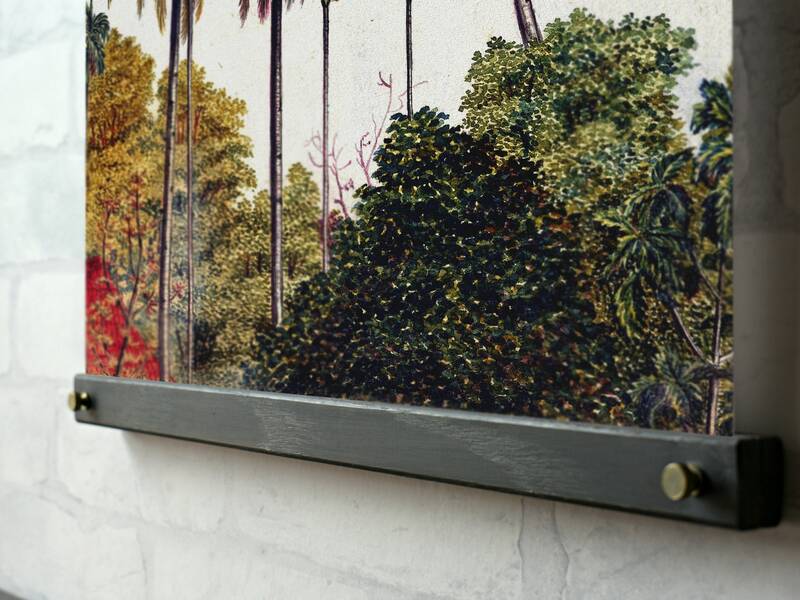 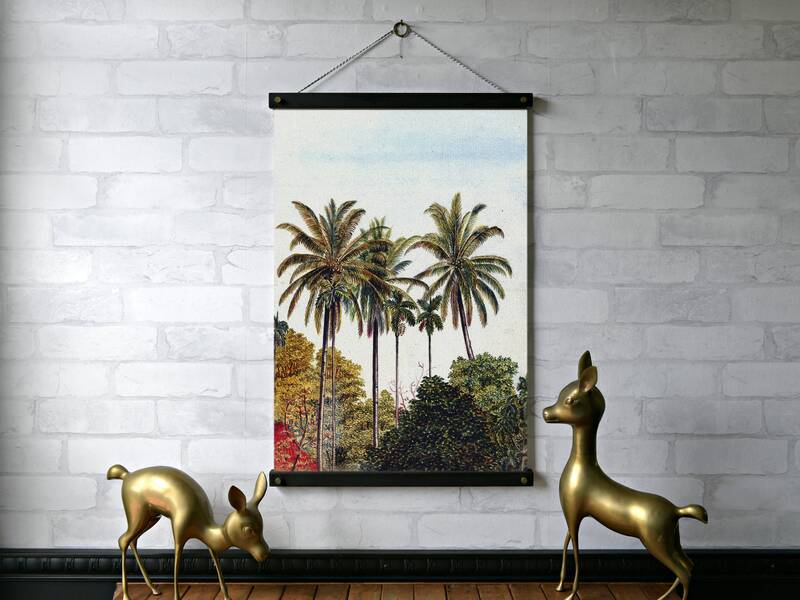 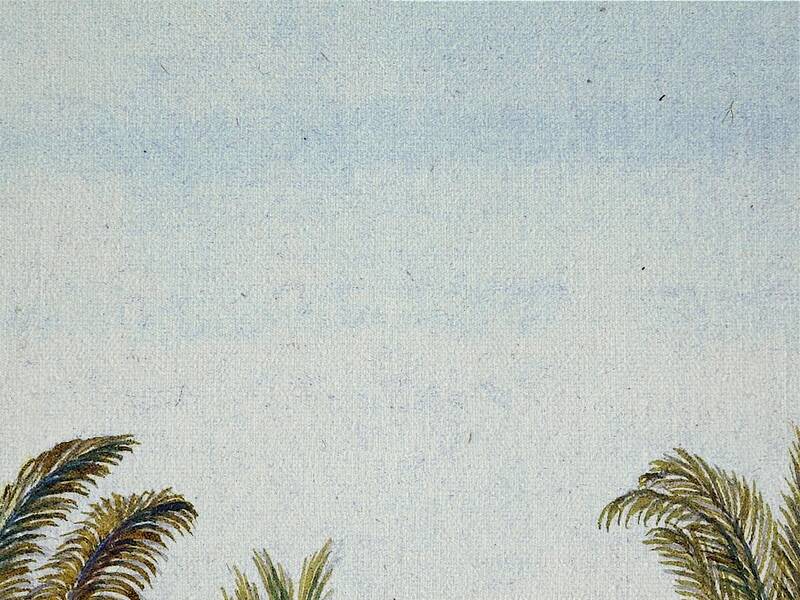 The inscription accompanying this print reads: "A view from a window by Batavia imagining a single coconut or coconut trees, 4 pinang trees, which are like the coconut trees, a ringing tree by the house, and a soukon (soekon) tree with large serrated leaves (bread tree)"
+Canvas color is an ivory tone. 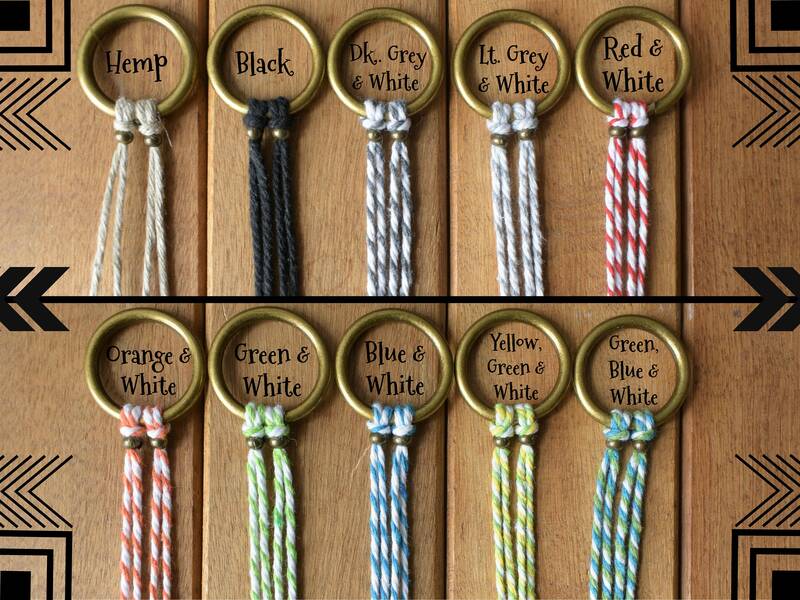 If you would like white just leave a note at checkout requesting a white background. 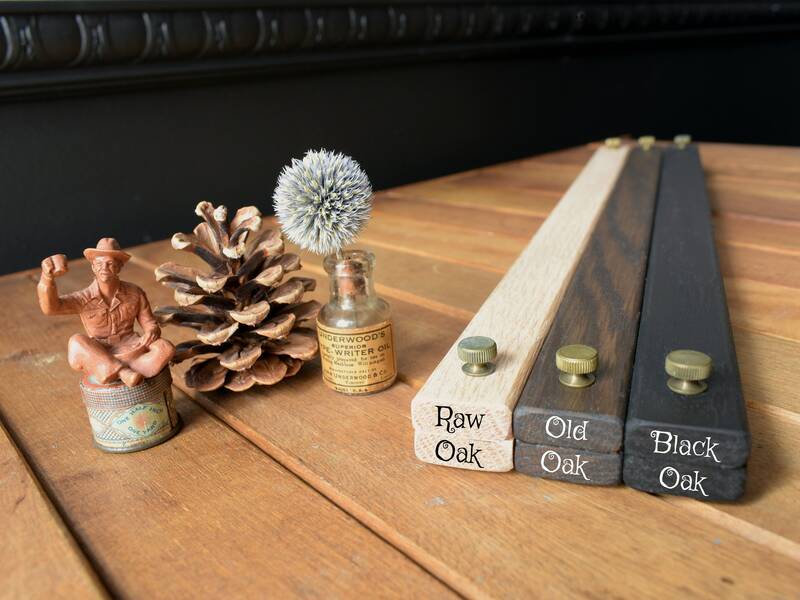 + 17"x24" size with Black Oak Hangers and Dark Grey & White Twine is pictured.